In the NBA, there have been a flurry of hair fads and fades. Traditionally, the white players don't belong to the interesting hair club for men. Great players like John Stockton, Larry Bird and today's token bench warmers like Brian Scalabrine and J.J. Redick, have always kept it safe when it comes to their hair. The influx of European players have brought trendy styles into the fold, but rarely anything too extreme. That's where we come to two trail blazers in the white guys with out of control hair phenomenon - Andrei Kirilenko and Chris "Birdman" Andersen. Leave it to a Russian import and small town party animal to bring something new to the court. Both players have shown different but not always flattering styles and an almost unhealthy addiction to hair gel. But recently, Birdman and AK47 took to the court with unaltered, soft natural hair! 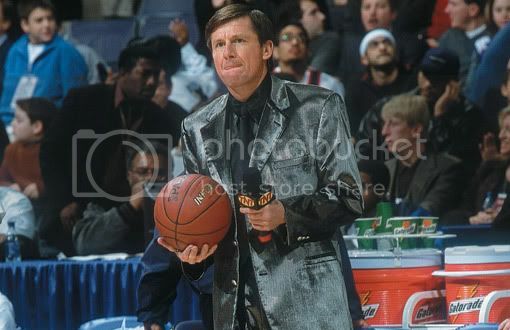 It was more shocking than a fully clothed Ron Artest or a neutral Craig Sager suit. But to get to the bottom of this, let's take a look at some of highlights (and of course, lowlights) of these two front court taste makers. Andrei Kirilenko arrived at the draft with very stereotypical Eastern European hair - short on the sides and a little spiky on top. He was a perfect poster boy for the Russian national team.His hair later grew out a bit and became a slightly larger version of the short on the sides, big on top look. However, gel helps make this hair very pronounced. He's mostly stayed with this hair cut, sometimes gelled to the side, occasionally combed over and even fashioned into a faux-hawk that inspires envy even with teammates. However, this season he seems to favour either the combed over AND gelled look that seems "Leave it to Beaver" or lately, completely gel-less and . I didn't really notice this change until early February when he had clearly had a very unfortunate bowl cut. Why Andrei why?! In motion, its tolerable but otherwise he looks like his mother got a borscht bowl out and stuck it on his head. Since February and his cut, AK47's stats are eclipsing this season's averages. In five games this month, he's averaged 16.8 points, 5 rebounds and 4 assists per game. Were all the hair products holding him down? It's an interesting idea, but AK47 hasn't given us a hint on the reasoning behind the hair change so unfortunately, we can all just speculate for now. 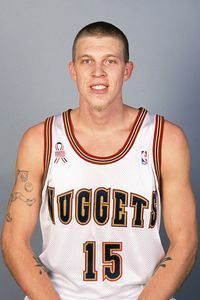 Chris Andersen took a slightly less conventional road to the NBA. From tiny town ball in the back roads of Texas, to balling overseas in China to being the first ever D-League call up with the Denver Nuggets; Andersen's career has been anything but normal. The NBA's first glimpse of the man they now call Birdman was very different from we know him today - shaved head and very lightly inked. It didn't take long for Birdman to make his mark with fans and players as his outlandish style sense and personality. 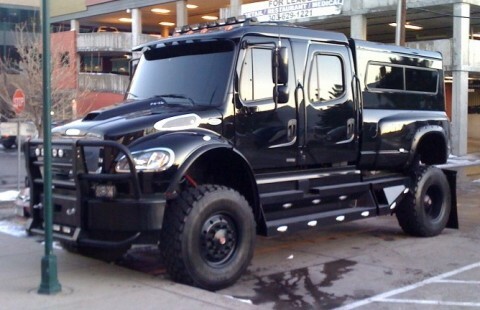 The mink coats, the gigantic murdered-out truck, the constantly fresh tattoos - but it was his hair that seemed to endear him to fans the most. He's spotted everything from side parted chin length hair, a head full of spikes, and his most popular, the seemingly gravity defying faux hawk complete with head band. Since Mr. Andersen has such a vivacious on court persona, it was even more of a shock to see him without the trademark spikes. 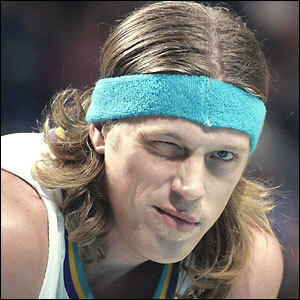 February 5th 2010 marked the game day that Birdman sported this new hairstyle - slightly mop top, similar to Kirilenko's. At the Staples Center against the Lakers, ESPN broadcasters and NBA twitter-aholics alike took notice of the hairdo debut. 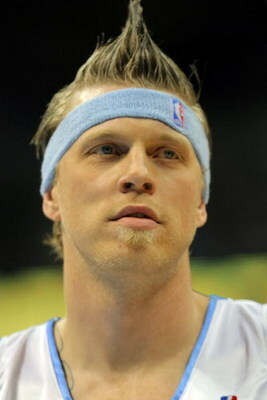 Lisa Salters, reported that Birdman initially joked that the lack of hair gel was due to the economy - the once free spending Andersen was cutting back his unnecessary expenses. He later said he just forgot his gel at home, and he's very picky about what he uses. I'm sorry, but isn't that what equipment managers or groupies for? How can the land of perpetual tans and celebrity stylists be free of hair gel? I think its all a cover up. His new hair doesn't look like it has the length for the perfect Birdman faux-hawk. I think he cut it too short and needed an excuse. But, it seems like AK47's new do, it's benefitting his performance. Since the chop, Birdman is averaging 10 points and 8 rebounds, including a rare double-double on his new do début. The lack of gel and performance can't just be accidental, can it? We'll see if the two blonds (who both play in the rather conservative markets of Denver and Salt Lake City) can keep up their performances and hairstyles post All-Star break. But who will we look to for interesting hair now? Who will hold down the gel for NBA players everywhere? For now, it seems Andris Biedrins and Danilo Gallinari are holding it down for now. God bless the European ballers.